Agenda: The latest version of the agenda for the workshop can be found here. 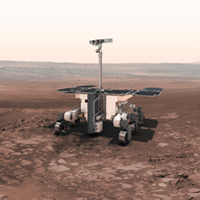 The first open ExoMars 2018 Landing Site Selection Workshop (LSS WS#1) will be held at ESA's European Space Astronomy Centre (ESAC), close to Madrid, on 26 - 28 March 2014. The deadline for hotel registration is 28 February 2014; to book please follow this link. Registration for the conference can still be done after the hotel booking deadline.